The Honor 7X is one of the best value smartphones on the market, offering great specs for just $200. The Huawei Mate SE is the same phone, but better. It's launching in the US now, and for just $29 more, you can get an extra GB of RAM and twice the storage. The Huawei Mate SE has a Huawei logo on the front and back, but other than that, it's basically the same as the Honor 7X which came to the US in December. In fact, the international version of the Honor 7X released in China last October featured 4 GB of RAM and 64 GB of storage, and that's exactly what the Huawei Mate SE has to offer for US customers now. All of the other specs are the same: a 16MP+12MP dual camera, a 5.93-inch 18:9 display with tiny bezels, Micro SD/Dual SIM capability and a 3,340 mAh battery. The Mate SE is available from Amazon and Best Buy now for $229.99, reduced from $249.99 for now, in Gold and Grey. That initial $29 price difference could be worth the money if you're a multi-tasker, as the extra 1 GB of RAM could come in handy. But, if you're just considering it over the Honor 7X for the sake of having more storage, it won't do you much extra good. The US Honor 7X has half the internal storage as Huawei Mate SE, with 32 GB instead of 64 GB, but it also has Micro SD compatibility for those who would like more storage for their media files. Huawei has been trying to crack the US market for a while now, and its efforts to get carrier deals have fallen through, so the Huawei Mate SE still won't be sold through any US carriers. Several prominent members of the US intelligence community have also raised alarm about Huawei's ties to the Chinese government and possible espionage, even going as far as to publicly discourage US consumers from buying their devices. Given all this controversy, it seems strange that Huawei would choose to release this device in the US market with Huawei branding rather than with the branding of its sister company Honor. Maybe the company is hoping that offering a great value will be enough to convince users in America. 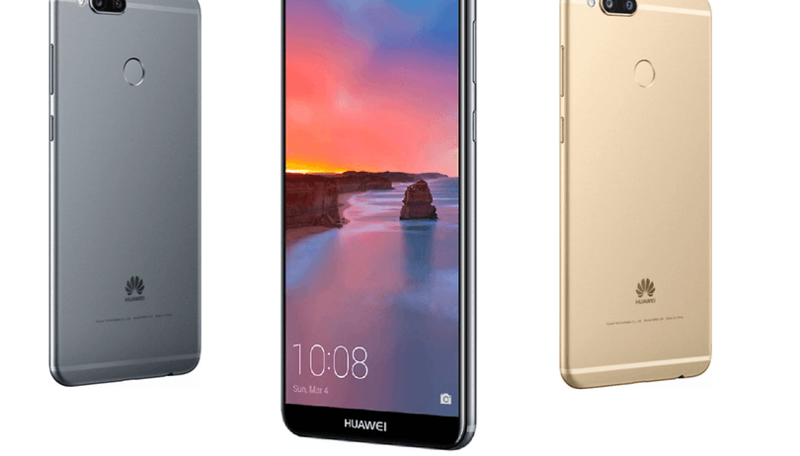 What do you think of the new Huawei Mate SE? Let us know in the comments! Have had the mate se for 3 days and wow what a phone. Upgraded from a honor 5x so far it's the best u can get without spending 500+. Only downside is the micro USB charger but it's fine I have a million cords. Glad to hear the phone is working out well for you! It would have been nice if they included NFC for that price, someone will someday, for that price. I don't know, where are you gonna find a phone with the specs this offers for 229.00? Huawei continues to set the standard for budget phones, plain & simple! It's just too bad the deals fell thru with AT&T & Verizon. Still to this day I have a gut feeling Samsung & Apple had very much to do with this!